Dr Shawkat Alam is Professor of Law and Director of the Centre for Environmental Law at Macquarie Law School, Macquarie University. Prof Alam has previously taught in the Law School at Dhaka University and Rajshahi University in Bangladesh. 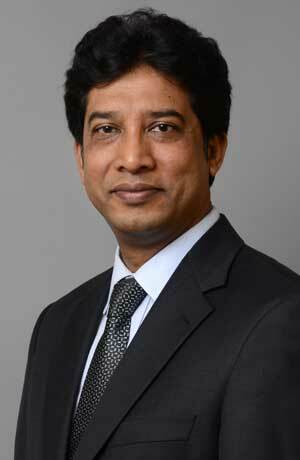 He holds an LLB (Honours) from Rajshahi University, LLM from Dhaka University and PhD from Macquarie University. Dr Alam's primary teaching and research expertise lies in the areas of international law, environmental law, trade law, human rights and sustainable development. His research focuses on the opportunities and challenges faced by developing economies to achieve sustainable development by examining international legal, institutional and policy frameworks. Prof Alam is the author of a monograph, Sustainable Development and Free Trade (Routledge, 2008), and has co-edited several books: International Environmental Law and the Global South (Cambridge University Press, 2015); International Trade Law and the WTO (Federation Press, 2013); Routledge Handbook of International Environmental Law (Routledge, 2012); and Globalisation and the Quest for Social and Environmental Justice: The Relevance of International Law in an Evolving World Order (Routledge, 2011). He has published in leading journals: Netherlands International Law Review, Georgetown International Environmental Law Review, Journal of Business Ethics, Asian Journal of International Law, Journal of World Investment and Trade and Journal of World Trade Law. Dr Alam has built strong international research collaborations that have led to significant community outreach projects, partnerships and research consultancies. He leads a high profile initiative to promote sustainable development and capacity building for the Government of Bangladesh. Prof Alam is also engaged in various projects in South-East Asia, including Indonesia and Thailand. Executive Dean's HDR Award for Encouraging Candidate Publications, Faculty of Arts, Macquarie University (2010). He currently leads a team of researchers at Macquarie Law School that supervises over a dozen domestic and international PhD candidates. Prof Alam is a member of the IUCN Academy of Environmental Law and actively engaged in its Learning and Capacity Building Committee. He regularly examines dissertations and reviews manuscripts for leading publishers and journals in his areas of expertise. Contact us for feedback and comments. © 2018. Developing Environmental Law Champions. All Rights Reserved. The views expressed on this website and its documents of this website are those of the authors and do not necessarily reflect the views and policies of the Asian Development Bank (ADB) and its partners.